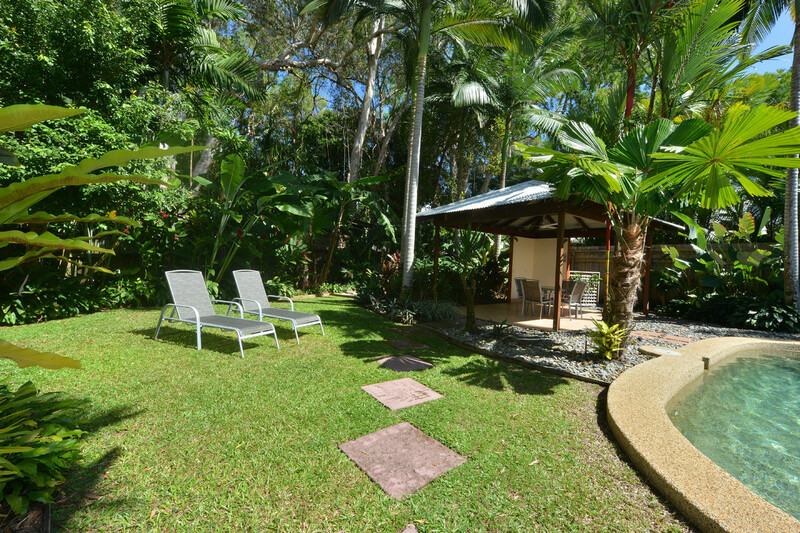 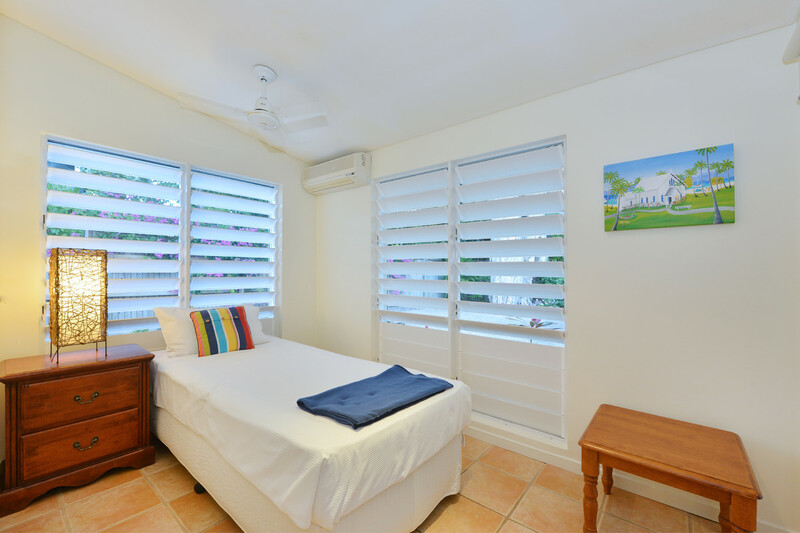 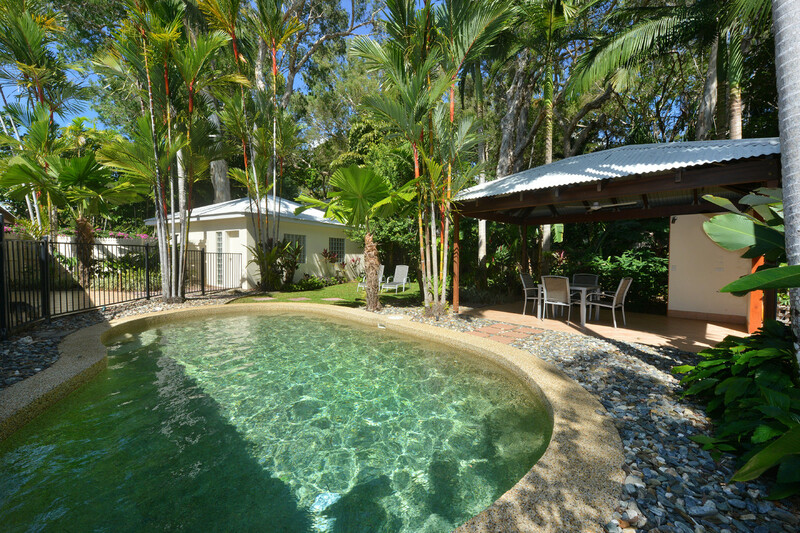 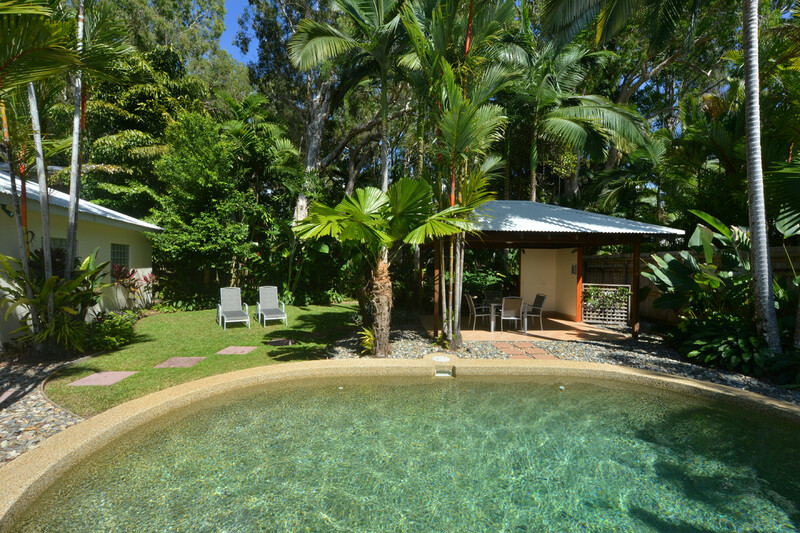 Located at the northern end of the quiet residential neighbourhood of Solander, less than 100 metres from Four Mile Beach, Sunbird guarantees deluxe privacy. 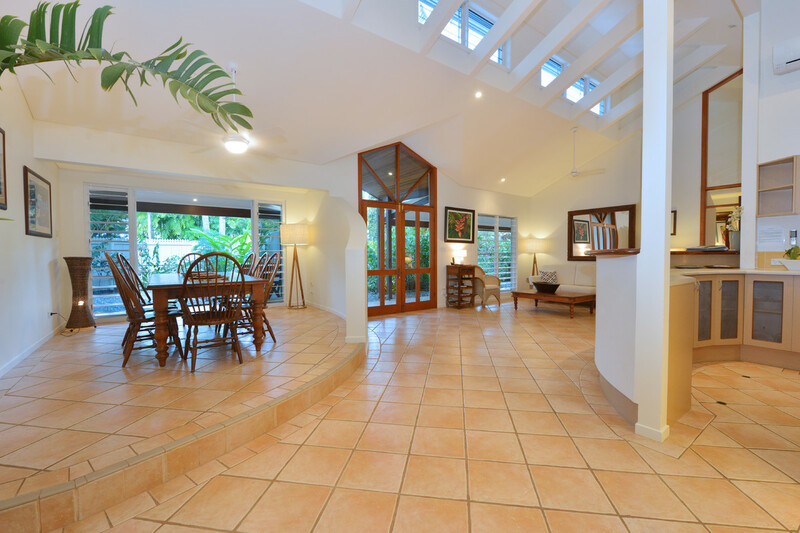 The house is open plan with high ceilings and skylights to allow light and airflow through the two spacious lounge areas, dining space and separate TV room. 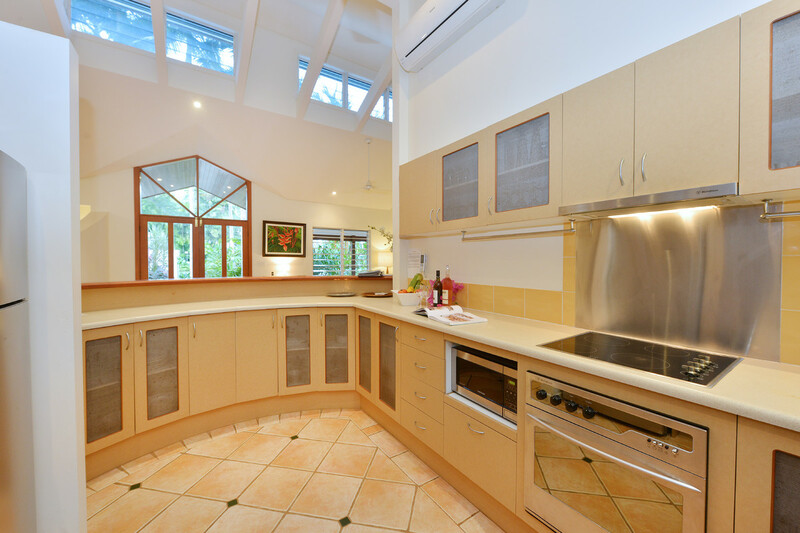 The large kitchen is located in the centre of the house, this services both the dining room and patio. 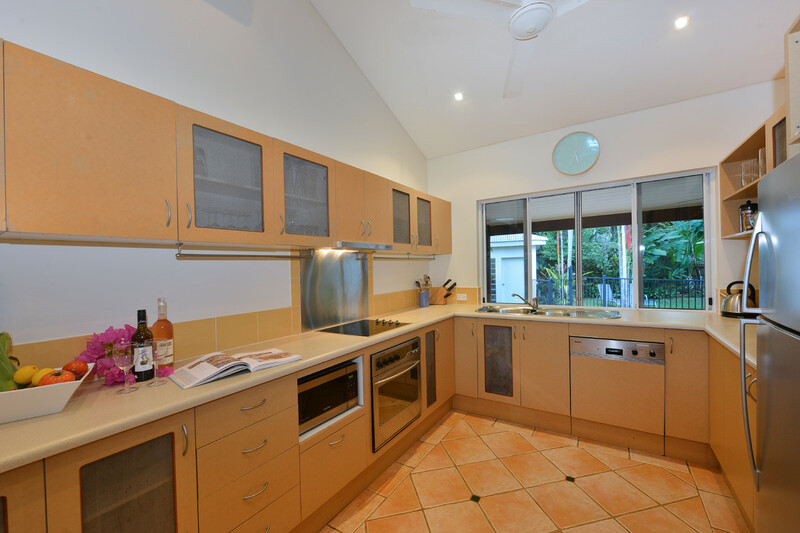 The kitchen is furnished with modern appliances and the cupboards are stocked with crockery and glasses, cutlery and cookware to make your stay more comfortable. 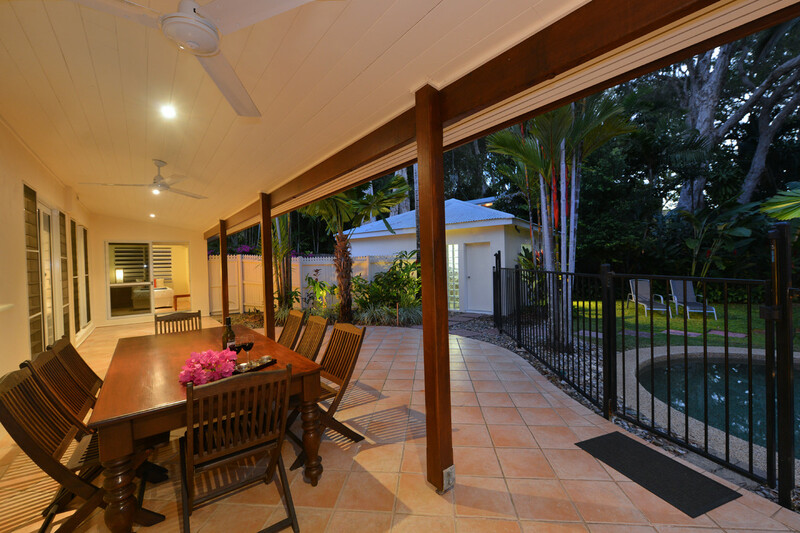 Bi-fold doors from the living area open out to the covered back veranda. 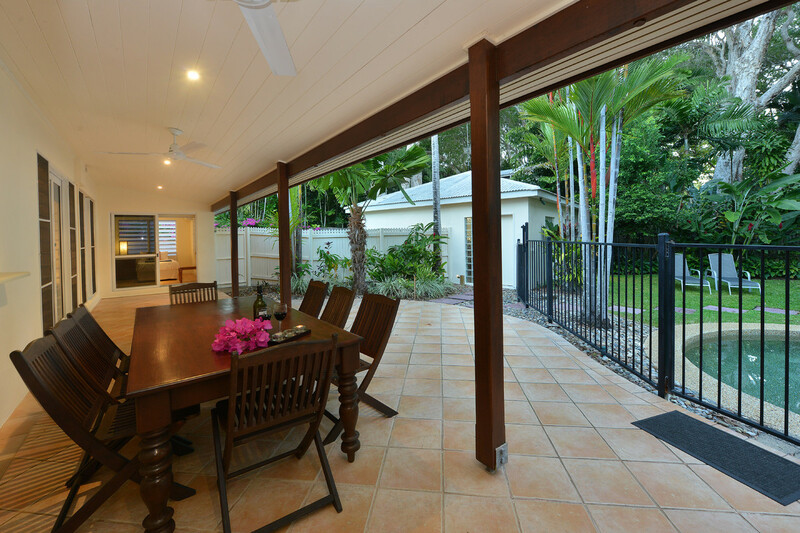 Perfect for entertaining with a large dining table and kitchen servery this tiled space has a garden outlook. 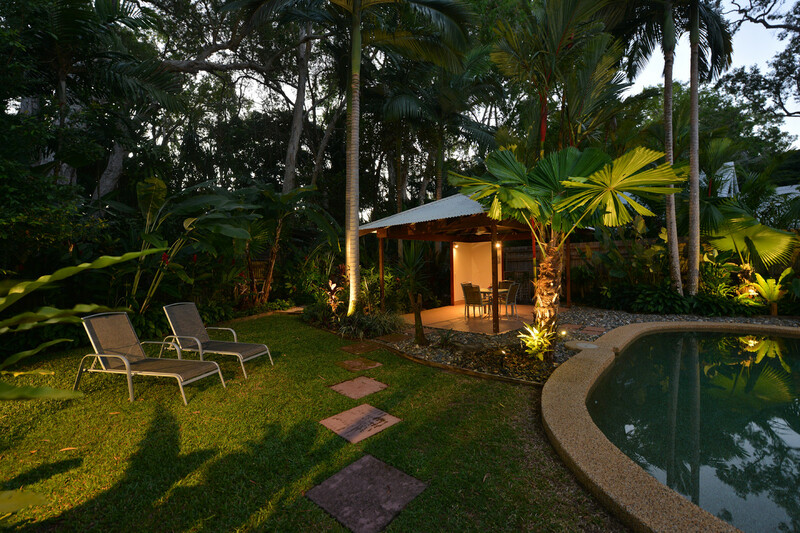 Huge melaleucas attract bird life to the tropical garden which has, as its centre point, a generous solar heated pool and barbeque gazebo. 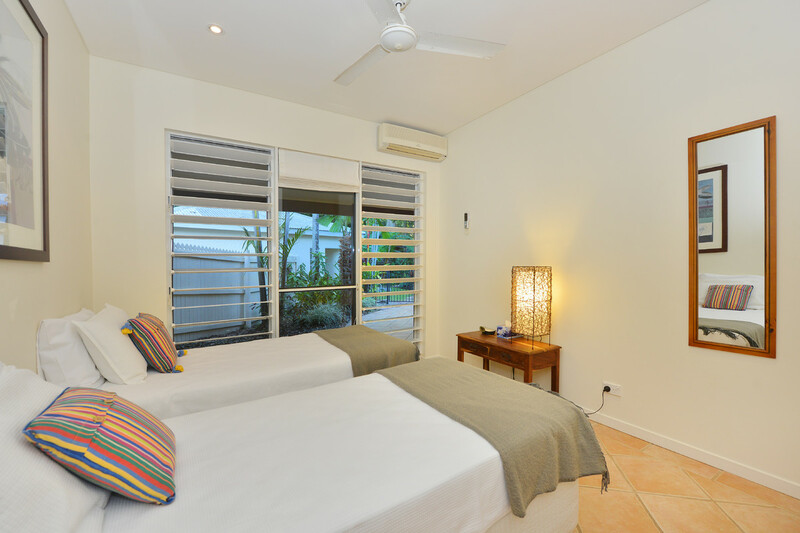 The master bedroom accessed from the dining area, has its own private enclosed garden and an en-suite with glass exterior wall. 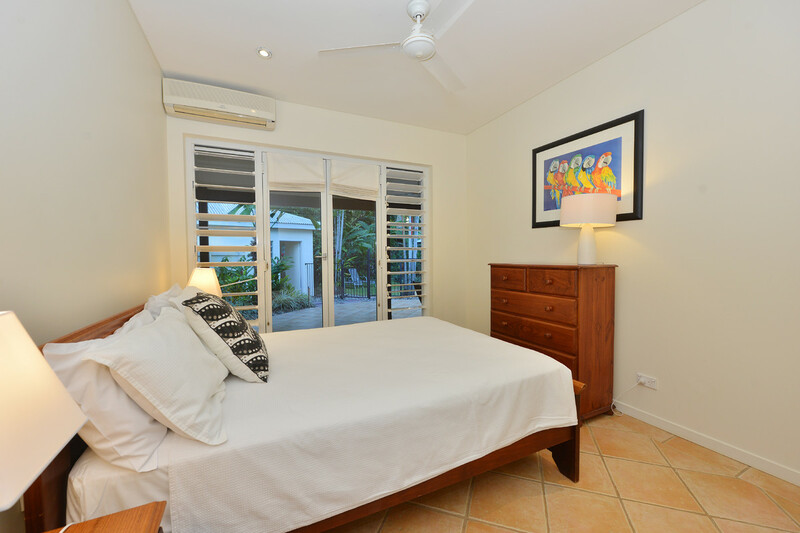 Another bedroom with Queen bed is adjacent to the kitchen and has access to the pool patio. 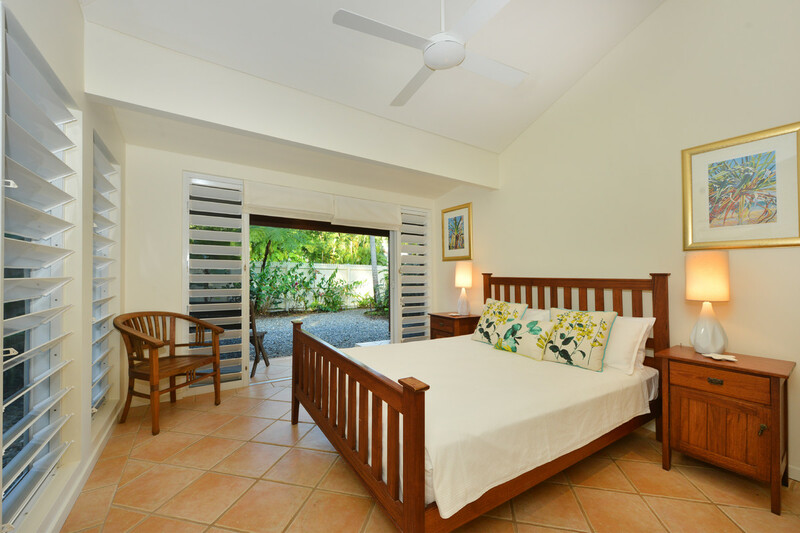 The remaining bedrooms are reached through a separate TV room with a delightful garden aspect. 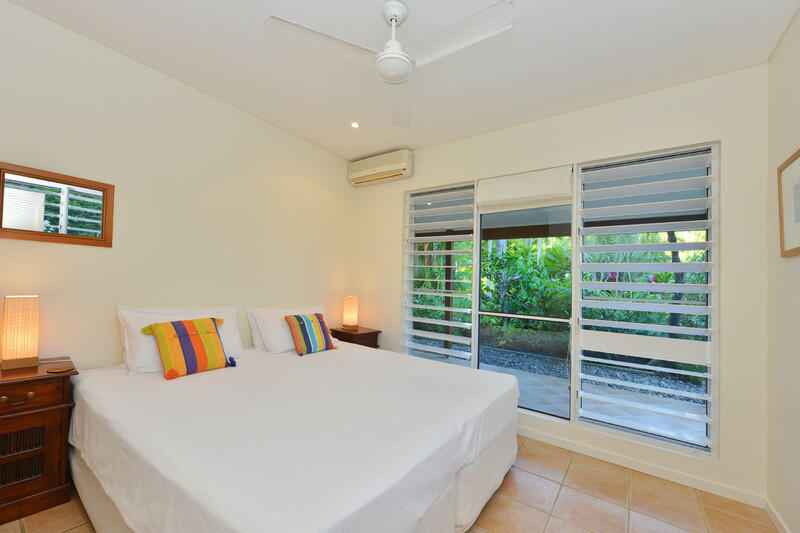 This wing has three bedrooms: Two with two single beds which both can convert to King beds. 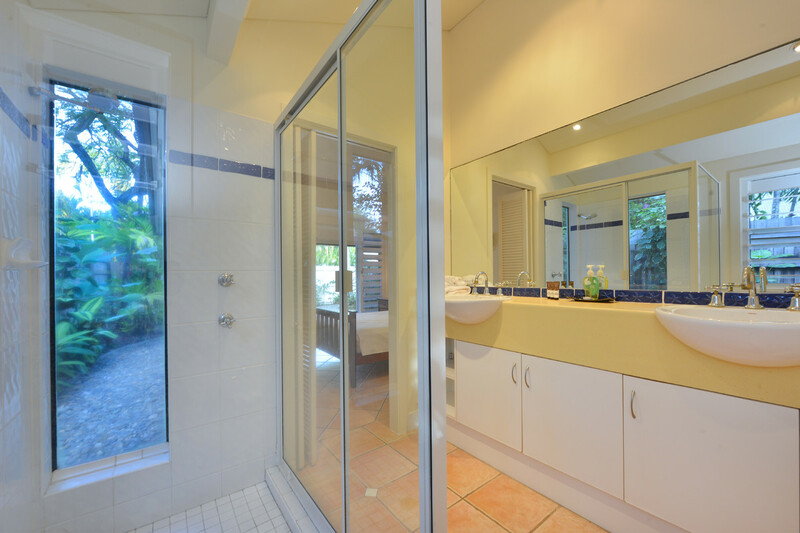 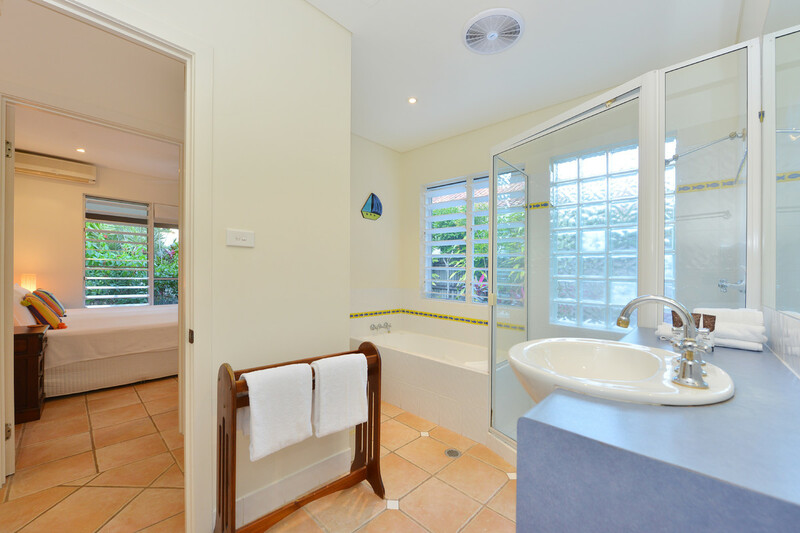 A large bathroom with tub and separate shower, a full laundry as well as an extra single bedroom. 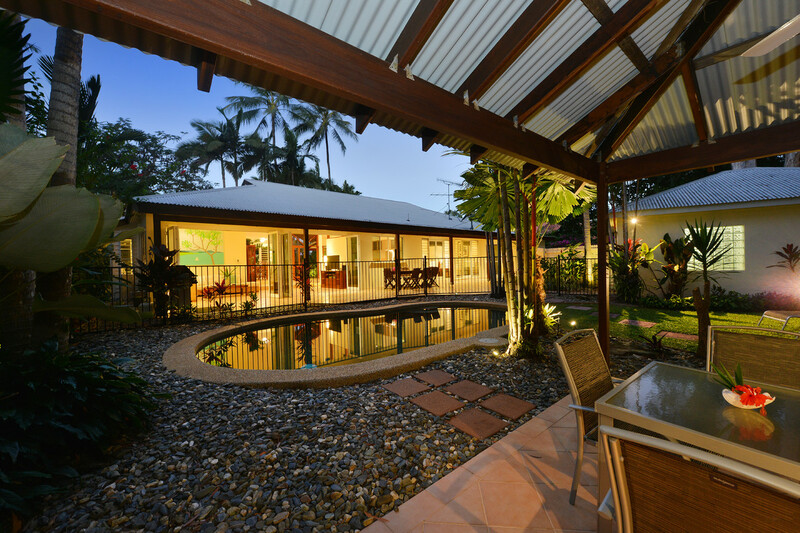 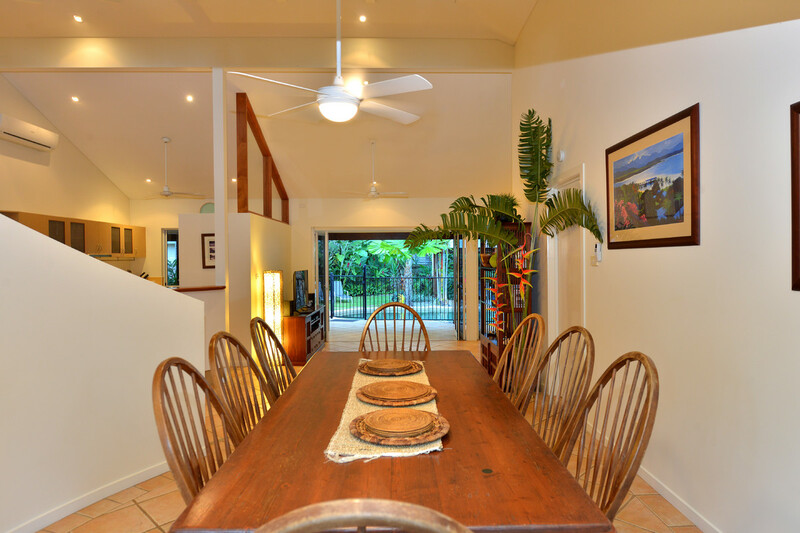 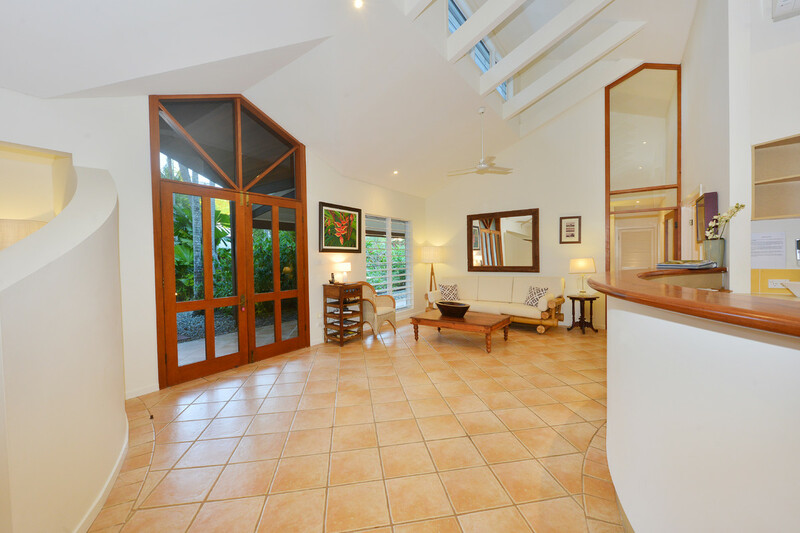 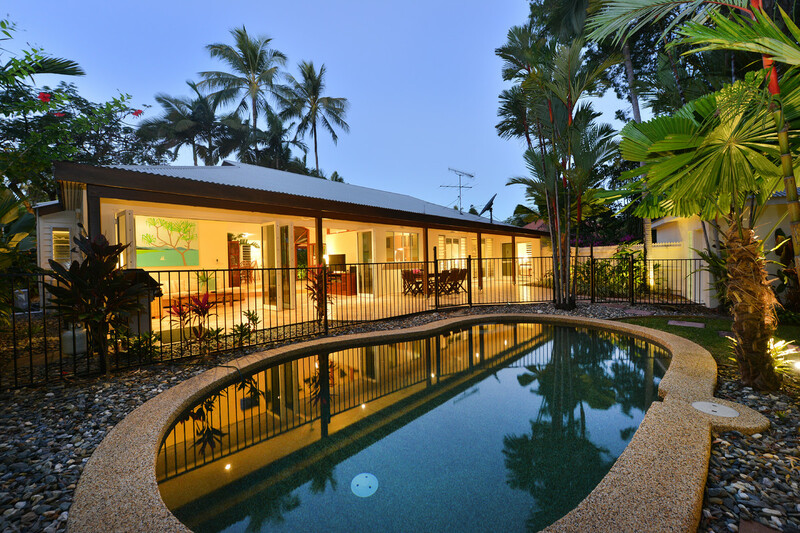 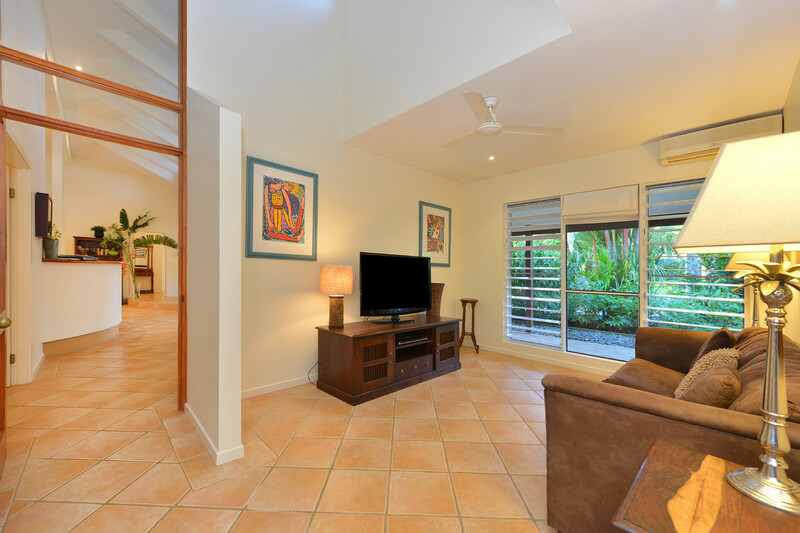 This stylish private home is tiled throughout, fully screened and air-conditioned. 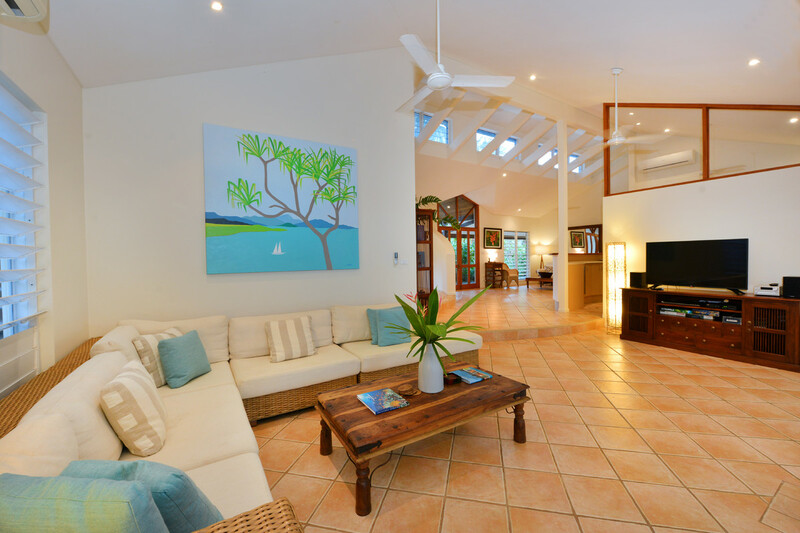 The functional layout, sunny disposition and beach access make this property a popular holiday choice. 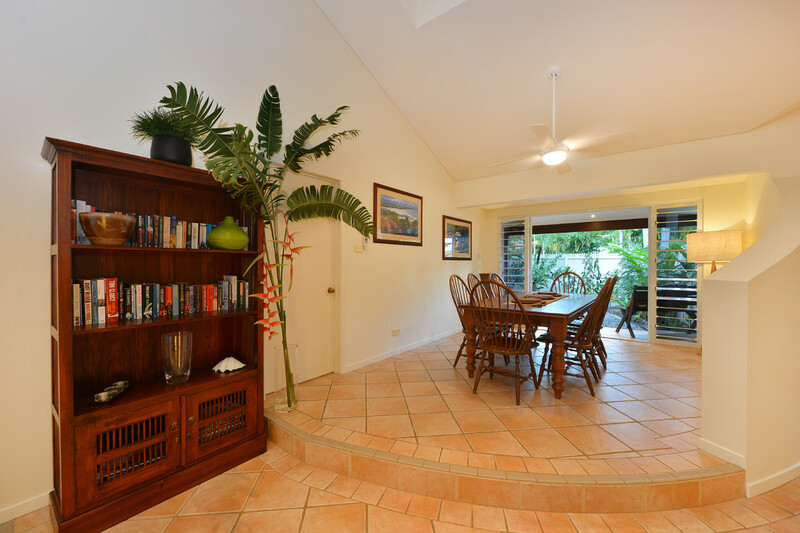 The house has two TVs, DVD, CD, Foxtel and WiFi internet access.